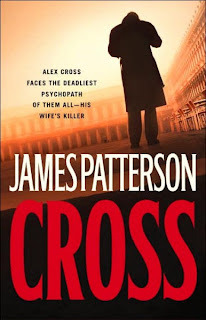 Cross is the latest novel in the Alex Cross series by James Patterson. I always love the fact that his books are a quick read - perfect for the holidays. I won't spoil the ending for anyone who hasn't read it yet, but I was thrilled when Cross resigned from the FBI to spend more time with his family!! It always annoyed me that up until this point, he had permanently left 'Nana Mama' (his Grandma) to take complete care of his kids.... gggrrrrr, and spent his spare time with his love of the moment. I enjoyed reading this novel, and reaching closure on a long standing storyline of the murder of Alex Cross' wife. Highly recommended for all James Patterson fans.